Ahhh . . . the magic of Christmas on the slopes! Nature created this winter wonderland with billions of snowflakes, yet no two are alike. Whatever your skiing preference: enjoying a double black diamond slope, a breezy blue run, or showing off your style under the chair lift. 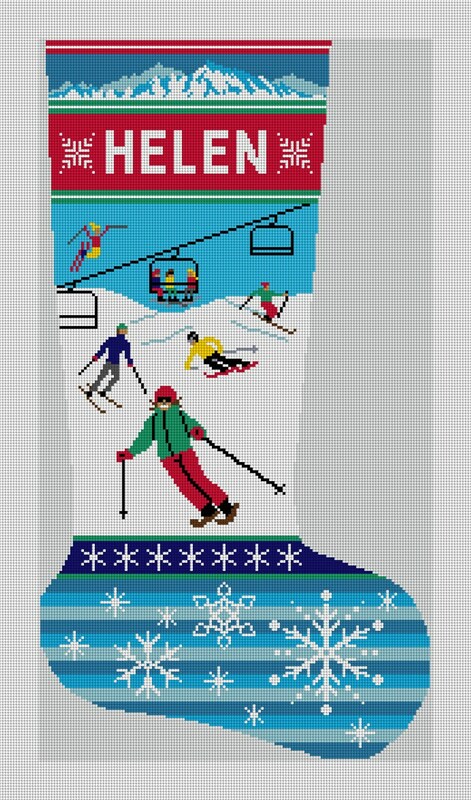 We know you'll enjoy stitching this Christmas stocking canvas for yourself or the skier in your family. A stocking you can personalize, and guarantee . . . no two are alike.